Exploring remote shorelines, being close to the water, anchoring off deserted beaches, lunching ashore — that’s what I love most about personal watercraft. Friends and family occasionally join us, but usually it’s just Jocelyn and me. We are not anti-social, but if we had to co-ordinate every ride with others, it would be harder to get out on the water. We do most of our riding on Georgian Bay, near Owen Sound, Ont., but have also ridden extensively in the Kawarthas and on Florida’s Gulf of Mexico and Intracoastal Waterway. On our home waters, we don’t often run into other PWC. 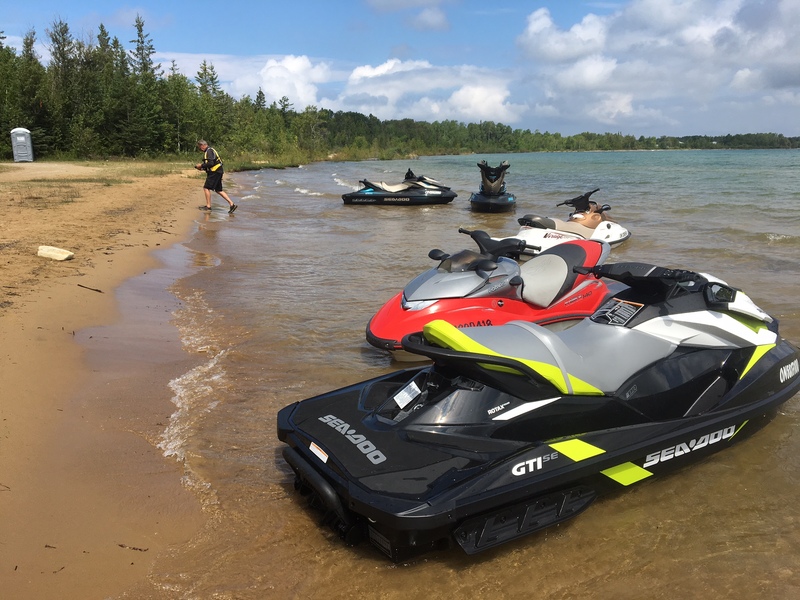 In many places, I think watercraft riders have similar experiences, especially if their interests include touring or lengthy day-trips, not towing or short excursions from the cottage. So, the Georgian Shores PWC Ride for Hospice, in Owen Sound last August, was a different but very enjoyable experience. PWC fund-raising runs were big events during the 1990s. In their early years, when the popularity of personal watercraft was booming, they often got a bad rap from some boaters and cottagers as noisy, menacing and dangerous. Charity runs were a way of promoting safe riding, raising money for charity and generally improving the public image of personal watercraft. Safety and the public perception of PWC have improved greatly since then, but charity runs are making a comeback! There have been several Watercraft Ride for Dad events in Ontario in the past couple of years. This year there were four events — raising money for prostate cancer research — in Rideau Ferry, Fenelon Falls, Hawkesbury and Rockport in the Thousand Islands. The Owen Sound event was organized by the local Sea-Doo dealer, Georgian Shores Marina. The first event of its kind in the city, it raised money through donations by participants and supporters, for Chapman House, the Residential Hospice of Grey Bruce. The Hospice has been providing care and comfort for patients in their final days and for their families for several years but has just completed construction of a very comfortable new facility. The Ride, raising money to complete and equip the new building, was an inaugural event. In other words, the organizers plan to repeat the ride and make it an even bigger event. As it was, despite threatening weather, the ride attracted more than 35 riders on about 25 watercraft. The course was 85 miles, up the west shore of Owen Sound bay, around the islands in the mouth of Colpoys Bay and then along Colpoys Bay. 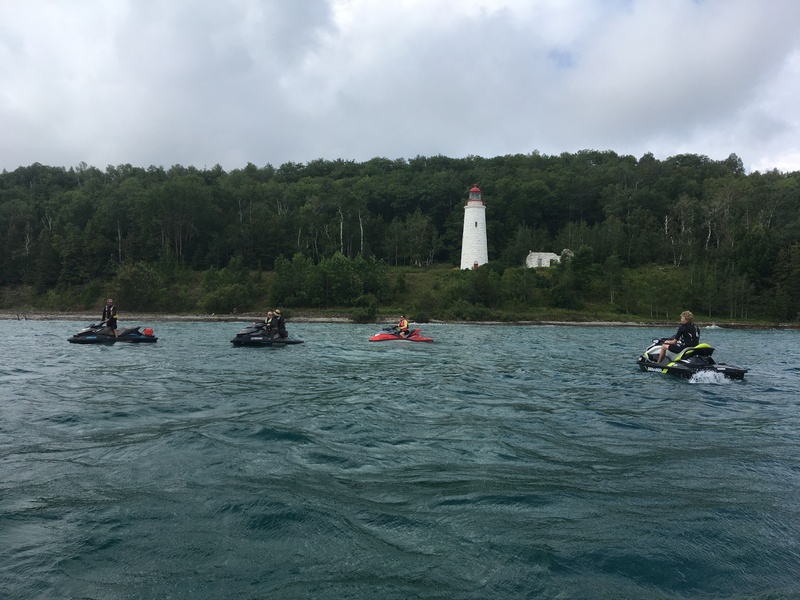 Split into two groups, participants made stops at the Chippewas of Nawash First Nation on Cape Croker, the town of Wiarton, and a waterfront home where lunch was served. There was a dinner and dance back at the marina. It gave the growing numbers of PWC riders in the area a chance to get to know each other better. It also gave them a whirlwind tour of some of the most scenic shorelines in the province and raised about $10,000 for a valuable new addition to the region. Whether it’s riding for Hospice, Riding for Dad, or another worthy cause, think about joining a PWC Ride or starting one yourself. It’s a good way to give back to your community while giving yourself a great day on the water. This article is featured in the 2017 Fall issue of Boats&Places.